The German industrial gases group has a smaller market cap and is less profitable. It will still get a 50 pct stake in the merged company. Yet despite the adverse exchange ratio, the tie-up can generate up to $13 bln in additional value for Praxair. It can afford to be generous. Industrial-gases groups Linde and Praxair have agreed key aspects of a merger that would create a $65 billion industrial-gases giant, the two groups said in a statement on Dec. 20. 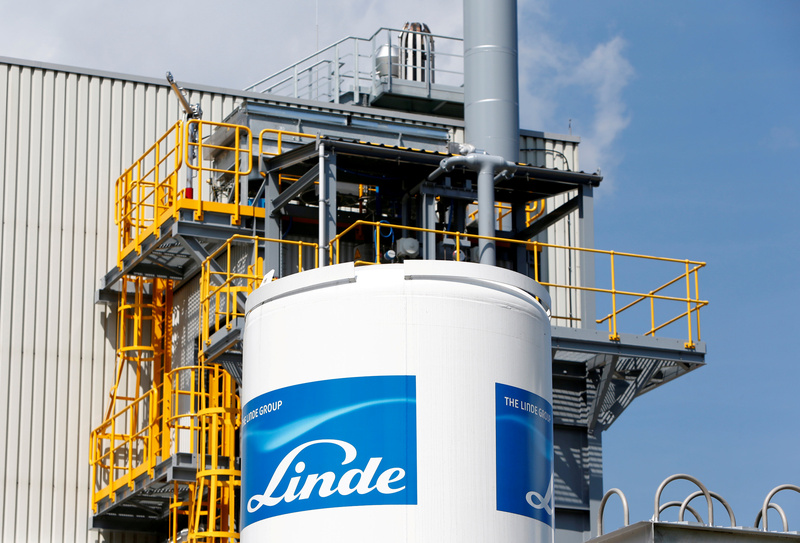 Shareholders in Germany-based Linde and U.S.-based Praxair would each own about 50 percent of the combined company. Praxair Chairman and Chief Executive Steve Angel will become CEO and will be based in the United States. Linde's supervisory board Chairman Wolfgang Reitzle will take the role of chairman of the new group, which in 2015 generated $30 billion in combined revenues and will have a dual listing in New York and Frankfurt. The companies estimate that the merger will create about $1 billion in annual cost synergies. Credit Suisse is the exclusive financial adviser for Praxair, while Perella Weinberg and Morgan Stanley are advising Linde. At 1400 GMT, shares in Linde were trading at 162.25 euros, down 0.7 percent from the previous day's close. Praxair shares were down 1.6 percent on the previous day at $121.00 in premarket trade at 1323 GMT.